A very clean and nice place to stay near the beach. We had an interior room (not beach facing) but had no qualms about it. The hosts were helpful and we had a great stay in Las Palmas! I like these beds. And communication is very easy. The 24h reception made it very easy to get the keys and the friendly receptionist recommended us a restaurant for dinner. We had a very spacious room with sea view and a practical little kitchen. Comfortable bed, spacious room, clean, amazing staff and great location! Very nice location, literally on the beach. 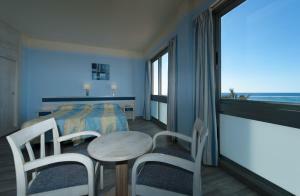 Our sea facing room without was very spacious and the beds were really comfortable. Very good location (on the beach), big apartment, all needed appliances, even though it is on a busy street, there is decent noise isolation. Nice, helpful and polite staff. Few hours after I left i remembered that i forgot my hard drive in the room. After contacting the reception it was delivered back to me. 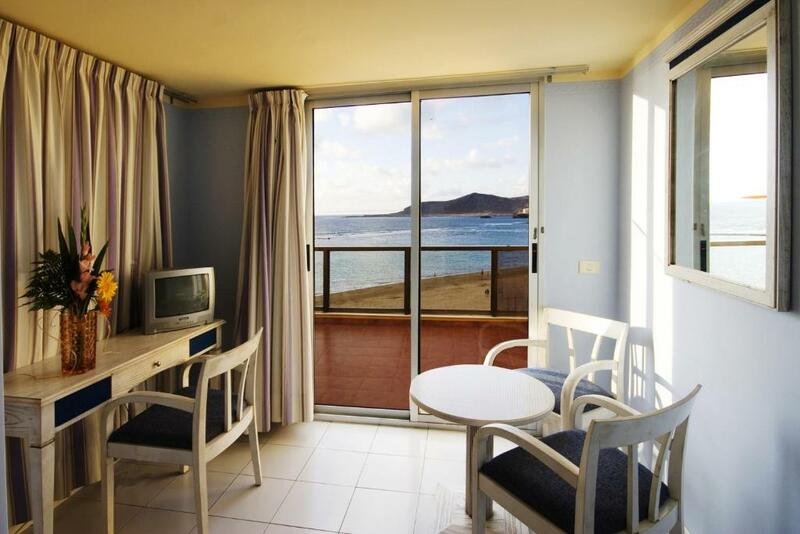 Apartment is on the beach with sea wiev, quiet in the night. Well recomended. Loved the central location and sea views. All staff were very efficient and courteous. Room was spacious and comfortable with a small balcony. Perfect for 2 people. Would definitely recommend. 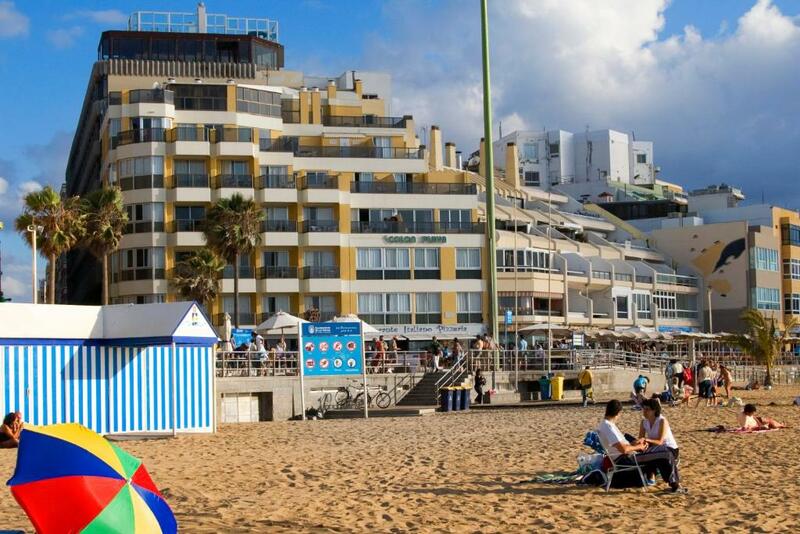 Lock in a great price for Apartamentos Colón Playa – rated 8.4 by recent guests! Apartamentos Colón Playa This rating is a reflection of how the property compares to the industry standard when it comes to price, facilities and services available. It's based on a self-evaluation by the property. Use this rating to help choose your stay! One of our top picks in Las Palmas de Gran Canaria.Set on Las Canteras promenade, in Las Palmas de Gran Canaria, Apartamentos Colón Playa is 1,000 feet from Puerto de la Luz and the Santa Catalina park. It features a shared rooftop sun terrace and well-equipped apartments. 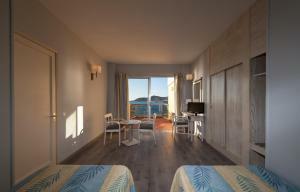 Each apartment in Colón Playa comes with a kitchen, a private bathroom and a lounge with sleeping area. There is a satellite TV, free Wi-Fi and a safe. Most apartments have a private terrace. Set on a commercial and central area, this complex is just a short ride by public transport from the center of Las Palmas de Gran Canaria, where you can sample top cuisine in the city's restaurants and trendy bars. Colón Playa also has a 24-hour reception desk. 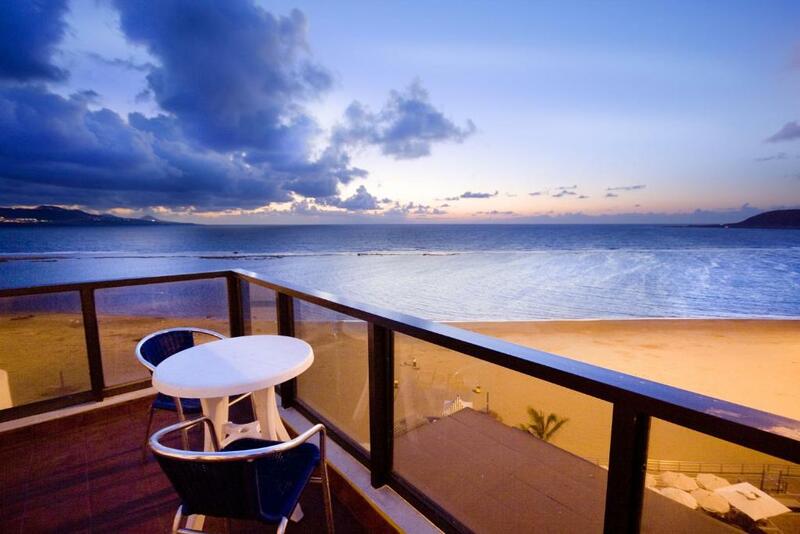 When would you like to stay at Apartamentos Colón Playa? This interior-facing studio offers a seating area with a flat-screen satellite TV and kitchenette. There is free WiFi, a safety deposit box and a desk. Featuring a balcony, this bright studio includes a seating area with a flat-screen satellite TV and kitchenette. There is free WiFi, a safety deposit box and a desk. Featuring sea views, this bright studio offers a seating area with a flat-screen satellite TV and kitchenette. There is free WiFi, a safety deposit box and a desk. 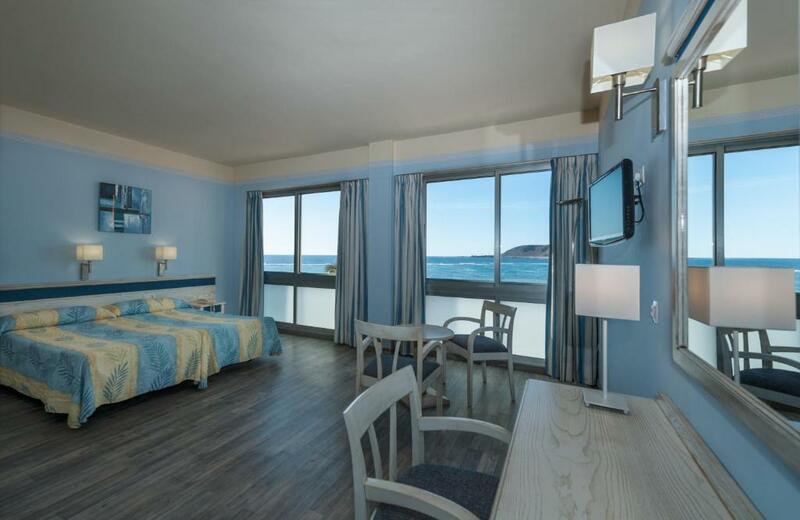 This bright studio offers a seating area, flat-screen satellite TV, safe and kitchenette. 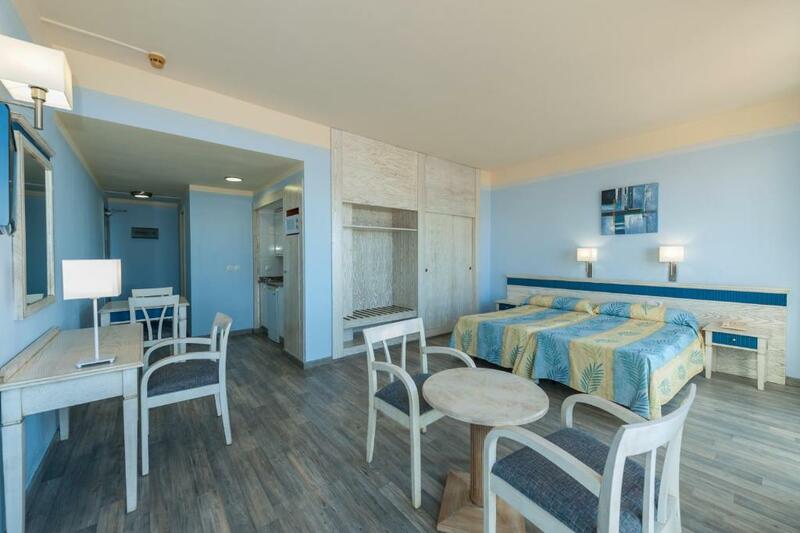 Featuring a balcony, this studio offers a seating area with a flat-screen satellite TV and kitchenette. There is free WiFi, a safety deposit box and a desk. House Rules Apartamentos Colón Playa takes special requests – add in the next step! Apartamentos Colón Playa accepts these cards and reserves the right to temporarily hold an amount prior to arrival. The room was at the back of the hotel so nothing to see out of the windows and had to keep curtains closed as other windows looked in.. There is some noise in the evening due to the proximity to the beach promenade.